Gilbert designs a number of memorials for clients. Bronze will allow your descendants to remember you forever. 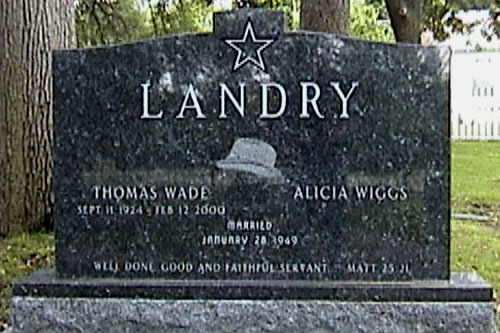 Front of stone showing his trademark hat. For a friend who worked at U.T..
Numbered grave. 700 are unknown. Gift to help remember the M.H.M.R. burials.